Ulsan, Korea – September 5, 2013 – Songwon Industrial Group (www.songwon.com) is pleased to announce it has completed its first Sustainability Report. The Songwon Sustainability Report is an organizational report that gives information about economic, environmental, social and governance performance and is part of a systematic sustainability reporting initiative that gives comparable data, with agreed disclosures and metrics. By delivering this Sustainability Report, Songwon has recognized that true leadership in the industry requires stewardship both in terms of economic as well as ethical values. Sustainability, as well as safety, is interrelated with other key performance metrics such as innovation and operational effectiveness. In achieving its growth aspirations, Songwon is committed to producing and selling products that use less of the Earth’s resources, a process that it considers and implements throughout the full value chain. Top level operational effectiveness is based on top level performance in terms of cost and quality as well as service, safety and environmental impact and, in most cases, the performance of these metrics is interrelated. The Report fully complies with the stringent guidelines of GRI (Global Reporting Initiative), a non-profit organization that promotes economic, environmental and social sustainability. It is widely recognized that GRI provides a key platform for communicating positive and negative sustainability impacts and provides all companies and organizations with a comprehensive sustainability reporting framework that is widely used around the world. Jongho Park, Chairman, CEO and Head of the Songwon Industrial Group Executive Committee said: “Measuring and communicating our sustainability performance to our stakeholders is of primary importance. 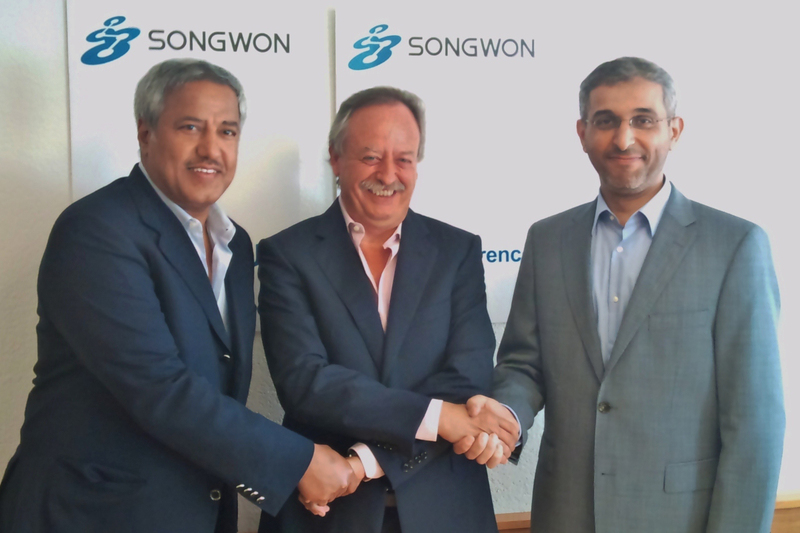 For that reason Songwon has decided to incorporate a GRI based Sustainability Report into the 2012 Annual Report.